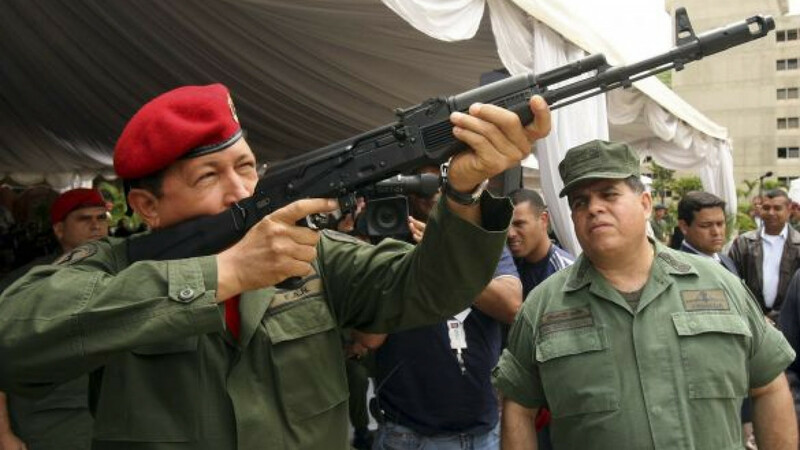 Late Venezuelan President Hugo Chavez aiming a new Russian assault rifle, the AK-103, next to his defense minister at a Caracas expo in June 2006. But analysts warned that Russia’s energy and arms contracts with the Latin American country might be up in the air, and, adding a whiff of conspiracy, Communist leader Gennady Zyuganov hinted that Chavez’s death had been caused by his enemies, presumably the U.S.
Chavez died Wednesday at a Caracas hospital of complications from cancer. Vice President Nicolas Maduro, who has been running the country since Chavez underwent a fourth operation for cancer in December, must now call an election within 30 days. Putin sent a telegram to Maduro expressing his “deepest condolences” to him and the Venezuelan people, the Kremlin said. “He was an extraordinary and powerful man who looked to the future and always set the highest bar for himself,” Putin wrote in the telegram. But the loss of the flamboyant leader might put Russia’s oil contracts in Venezuela in jeopardy, analysts said. Rosneft, the leading foreign oil investor after Chavez renationalized the sector, plans to sink $10 billion into the National Oil Consortium over 10 years. It owns 60 percent of the consortium and is developing the Junin-6 heavy-oil field. 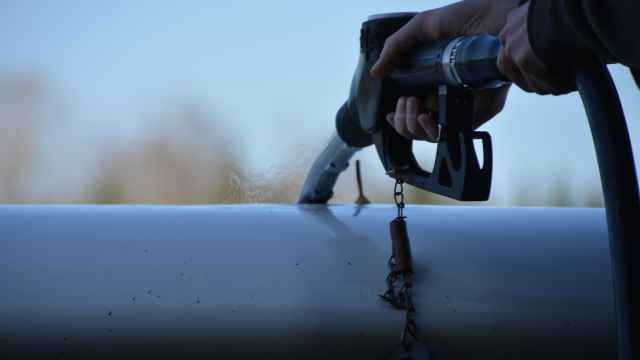 “Everything will depend on whether contracts with international companies will be reconsidered,” said Maria Shishkina, an oil analyst for Russ-Invest. Rosneft shares gained 1.46 percent in midday trading after a statement by the head of PDVSA, Venezuela’s national oil company. Oil Minister Rafael Ramirez said the company would continue Chavez's oil development policy. The Russian oil deal was brokered by the powerful chairman of Rosneft, Igor Sechin, a former deputy prime minister and a close Putin ally who established good personal relationship with Chavez after befriending him in early 2000. Sechin, who is at an oil conference in Houston, will attend Chavez’s funeral Friday and be joined by Trade and Industry Minister Denis Manturov and Rostec head Sergei Chemezov, Putin spokesman Dmitry Peskov said. 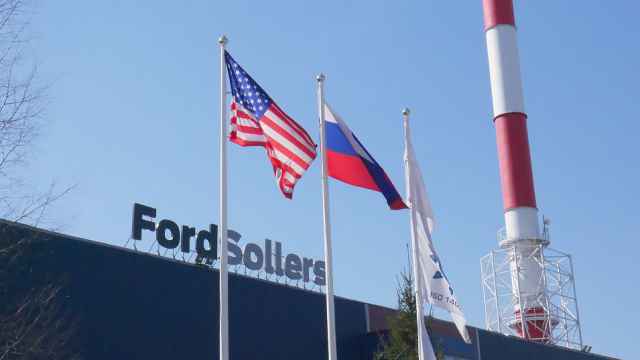 While some observers speculated that American companies might replace Russian ones if the opposition comes to power after the presidential election, Pat Davis Szymczak, editor of OilandGasEurasia.com, said Russia could reach an agreement with the U.S. side on oil projects. “If Venezuela’s opposition comes to power and wants to welcome ExxonMobil back into the country, why would it throw out Rosneft? Rosneft is already working with ExxonMobil in the United States itself,” Szymczak said. She cited a planned development between the two companies in Texas and the Gulf of Mexico. The companies have also agreed to work together in the Black Sea and Russia’s Arctic. “I don’t think it will be a disaster for Russian companies that work within the framework of international law,” Szymczak said. A date for the election has not been announced, but Maduro, a former bus driver and trade union activist whom Chavez anointed his heir, could win if there is an outpouring of support following the death of Chavez. But he also could face an uphill battle because he lacks Chavez’s appeal and charisma, said Viktor Semyonov, an analyst at the Institute of Latin American Countries at the Russian Academy of Sciences. He will likely be challenged for the presidency by opposition leader Henrique Capriles Radonski, a former governor of Miranda state who ran as the main candidate against Chavez in the presidential election in October. Capriles has said Venezuela would not buy any more Russian weapons if he became president. 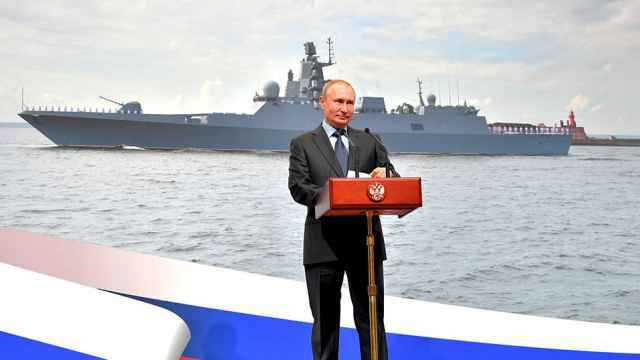 Venezuela owes Russia more than $7 billion for Russian weapons purchased under a defense policy pursued by Chavez since Putin was first elected president in 2000. Zyuganov, calling Chavez “a real fighter and a brave man,” also took a dig at the U.S.
“He was a man who symbolized those who share the ideas of justice and the fight against American globalism,” Zyuganov said, speaking on Rossia 24. Feeding into a conspiracy theory in Caracas, Zyuganov urged a thorough investigation into the death. “It is not an accident,” Zyuganov said. Some observers said Chavez’s death was a loss to those who are anti-American. The Non-Aligned Movement is a group of more than 100 countries that are not aligned with or against any major power bloc. Venezuela declared seven days of mourning, and its embassy in Moscow opened a book of condolences Wednesday for people to sign. Visitors are welcome to stop by between 9 a.m. and 5 p.m. The address of the embassy is 13/15 Bolshoi Karetny Pereulok. It is near Tsvet­noi Bulvar metro station in central Moscow. Foreign Minister Sergei Lavrov, whose meetings with Chavez included a visit to Caracas in August 2011, was among those who signed the book. Chavez visited Russia eight times as president. Memorably, he whizzed around Moscow in a red Lada Priora in 2010 accompanied by a fleet of cars carrying his security personnel. Moscow drivers raged about the resulting traffic jams for weeks afterward. Pleasing the Kremlin, Venezuela is among a handful of countries that recognized the breakaway Georgian republics of North Ossetia and Abkhazia as independent, a decision Chavez made a year after a brief war between Russia and Georgia in 2008. But Chavez got a lukewarm reception when he showed up in Russia days before a 2007 trip by Putin to the U.S. to meet with then-President George W. Bush. The Kremlin made a concerted effort to avoid antagonizing the U.S. with Chavez’s visit, Kommersant reported at the time. Venezuela bought Belarussian weapons and shipped oil to Belarus, reducing its dependence on Russian crude, while Belarussian construction companies built apartments in Caracas. In the Russian city of Perm, meanwhile, an outspoken local Communist activist and lawyer appealed to the governor’s office to rename a street after Chavez. “Chavez symbolizes the reforms that Russia needs, like the nationalization of key economic sectors.” Alexei Bessonov said in comments carried by Interfax.